We have finally cataloged all of our bricks that were previously located in the courtyard of the International building in Kansas City, MO. With the sale of the building, we needed to find a new home for the bricks, and yet continue the ability to provide members with the opportunity to honor members of their clubs with brick purchases. 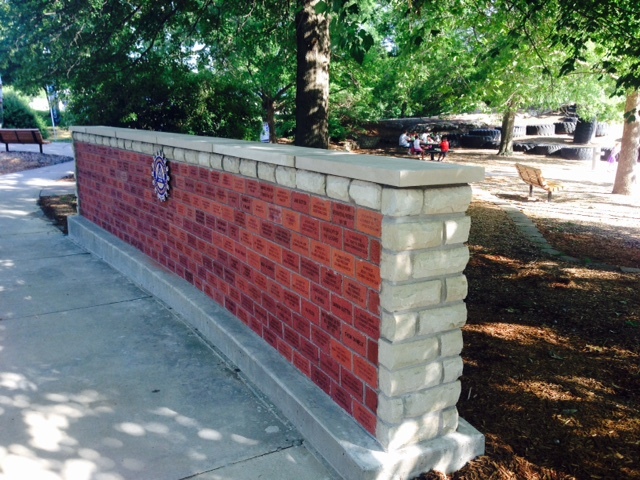 Thanks to the efforts of a group of local club members, a new home was established, and a wall was constructed in Cosmopolitan Park in Columbia, MO. A picture of the wall is included above. As more and more clubs and individual members are purchasing bricks, we are now embarking on a second wall location within the park. As the quantity of new bricks purchases for member memorials and recognition increases, we will be placing them in another memorial wall. Use the link at the left to be redirected to the Bricks Inventory site where you can look up and view all of the bricks that we have cataloged.